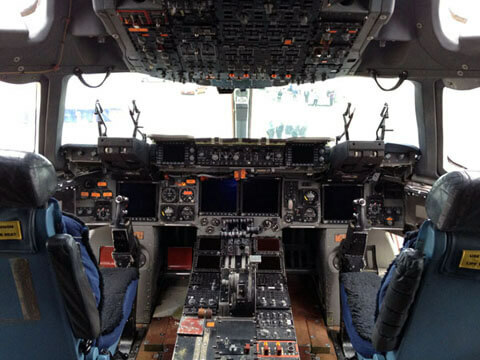 In the 1980’s the USAF realised that the C-141 fleet was ageing and encountering structural problems. 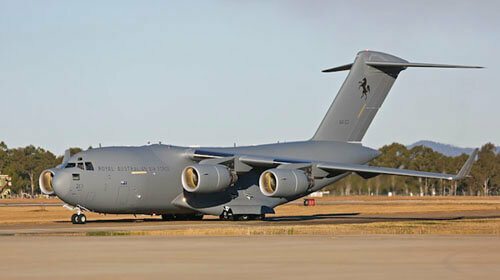 McDonnell-Douglas developed the C-17 from the earlier and smaller YC-15 as a replacement for the C-141 and also to offload the C-5 fleet. The aircraft first flew in 1991 and entered service in 1995. 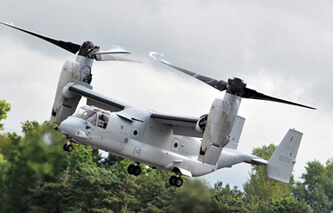 As well as the USAF the aircraft is in service with a number of other countries, including Australia, United Kingdom, Canada, India, UAE, and Kuwait. Production ended in 2015 with 279 examples having been built. 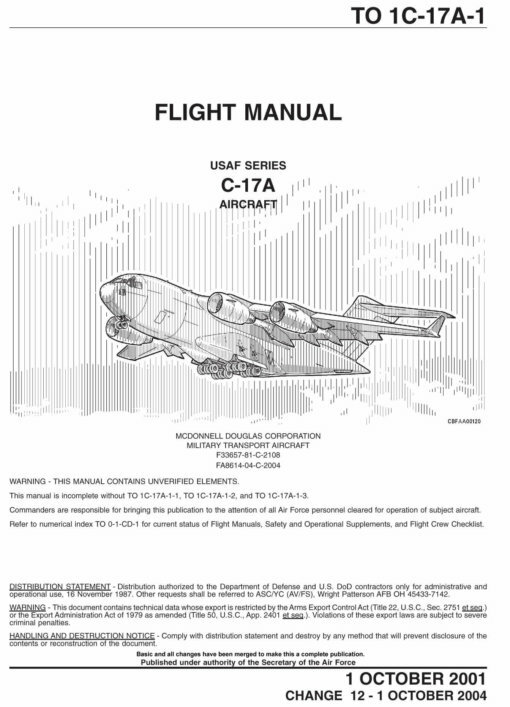 This title contains the USAF flight manual for the Boeing C-17A along with a number of additional training manuals and checklists. USAF Flight manual for the Boeing C-17A Globemaster III, T.O.1C-17A-1 dated 1 October 2001, revised to 1 October 2004, approx 1,722 pages.